Dashboards and reports help you analyse and improve your business's performance. This ability is compromised when you end up with dozens of dashboards and reporting systems you have to check regularly. Bizeo sits on top of all your business systems and gives you ALL the numbers, trends and comparisons you need in one place, anytime, anywhere. Bizeo helps manage and reduce the risk involved in business operations by providing real time monitoring of every aspect of your operations. The only thing worse than something going wrong is not knowing about it. 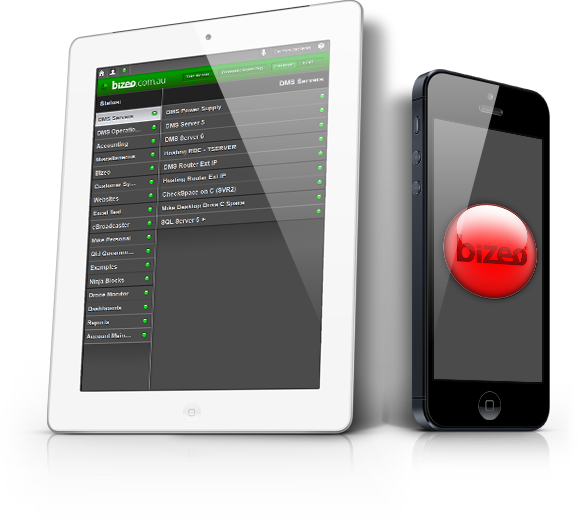 Bizeo watches all of your business systems and lets you know the moment something unexpected happens. Running out of stock? Spent too much on your Google campaign? Debtors out of hand? How much time could you save each day if Bizeo was on top of things? The key to Bizeo's power is its simplicity. No doubt you have a myriad of dashboards, business intelligence tools and reports available to you but their capabilities often create unnecessary complexity. Bizeo’s single indicator can monitor hundreds or even thousands of factors. Your business at a glance. 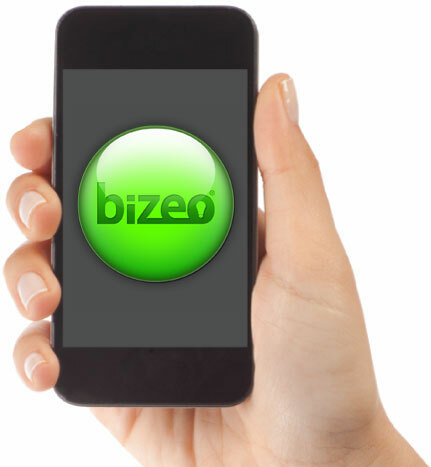 Bizeo uses patent pending technology to extract metrics from virtually anywhere in the world. Now all of the metrics from your accounting, HR, social media, websites, ecommerce and other systems can all be aggregated into one easy to access system. From one person operations to major multi-nationals, one location to thousands in any industry Bizeo can help you improve your operations, get on top of complexity and manage your risk. "For business owners whose business sustainability is reliant on providing a reliable service to their clients, Bizeo offers a unique means of achieving peace of mind." "Having worked with numerous monitoring solutions, the simplest and most versatile solution I have found is Bizeo, which is why I now structure my solutions around it. The business intelligence you can create is incredible." "Real data collected and collated the way I want." "Bizeo places practical real time cost effective business monitoring in the hands of SME leaders and owners worldwide for the first time." "We keep a careful watch on competition in business productivity software. I have not, to date, seen anything like Bizeo." "Everyone loved the fact that all this vital information was presented so simply, and we could access it day or night via the internet or on our phones." "I'm in love with Bizeo already!" How do I get Bizeo? Great news! The basic version of Bizeo is now completely free. Now you can set up your own Bizeo account and watch all of your critical business systems. If your needs grow, you can upgrade at any time to add more KPIs and more locations Bizeo can pick up data from. There are no ads, and no time limitations. Click here to register and get up and running with Bizeo now! Larger corporations will want our Corporate or Enterprise editions with their flexible user level security and support for up to thousands of locations. To find out more visit our pricing page. Bizeo can measure and monitor almost anything, but sometimes you want some professional advice. The Bizeo partner program is made up of specialists from dozens of industries. Our Bizeo partners can help you set up Bizeo and provide you with great advice on how to improve your business operations and manage your risk so you'll perform better and sleep better. © 2015 Bizeo Bizeo is a registered trademark of Direct Marketing Software Pty Ltd. "Business at a glance" is a trademark of Direct Marketing Software Pty Ltd. Patent pending.